This is what remains of the commercial section of Seville. 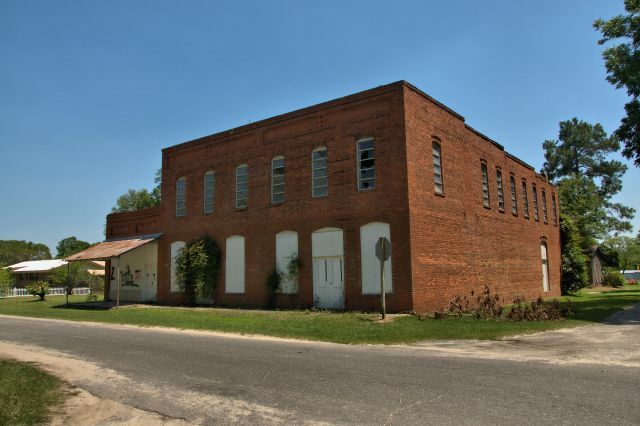 The large building was a general merchandise store and Janet Mygrant Mauldin recalls: I lived in Seville in the 70’s and the left end of the building was the post office and barber shop. The barber and post master were the same, Mr Roscoe Watson. 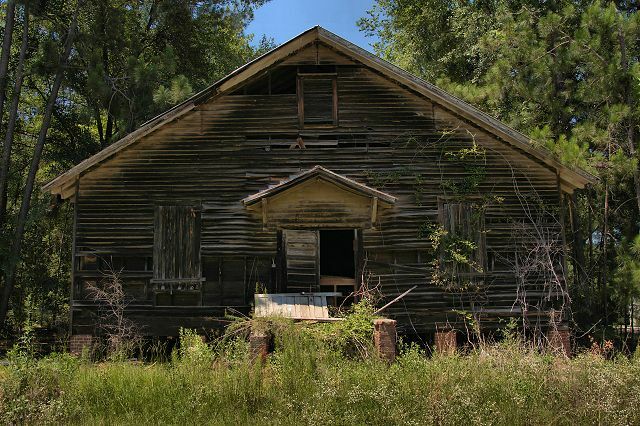 This congregation began as Seville Methodist Episcopal (M. E.) Church, South, on 22 July 1891. 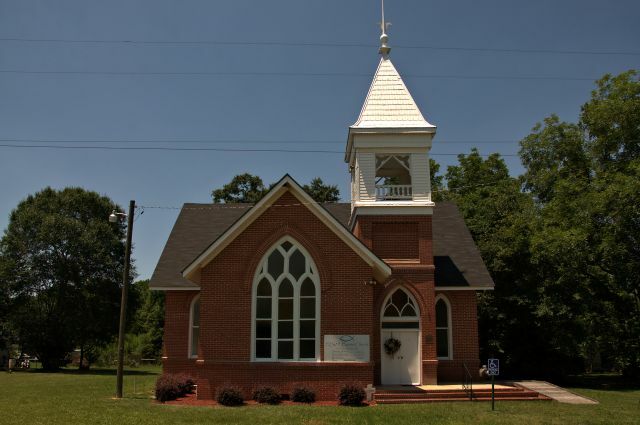 It followed the general evolution of Methodism to serve later as Seville Methodist and finally Seville United Methodist. The last service was held 22 June 1999. As of July 1999, it was incorporated as Historical M. E. Church, South. 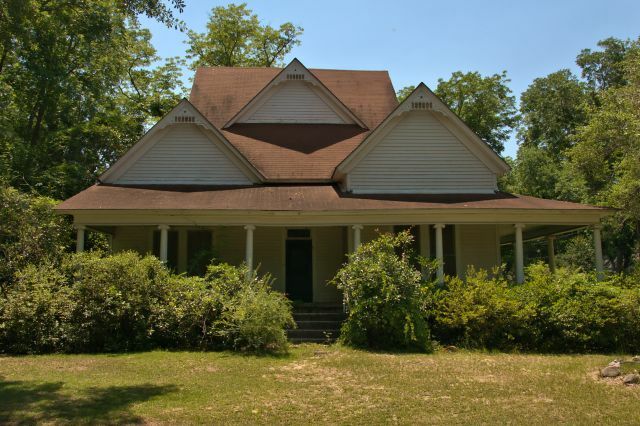 Glenda Watson Stanford writes, via our Facebook page: The Roscoe & Bessie Watson family moved here in 1948. From what I remember it was about 75 years old then. It was built by Holt Walton. I first thought this was an old church, but Joel Brown writes that it was a school, built to replace one that burned down.